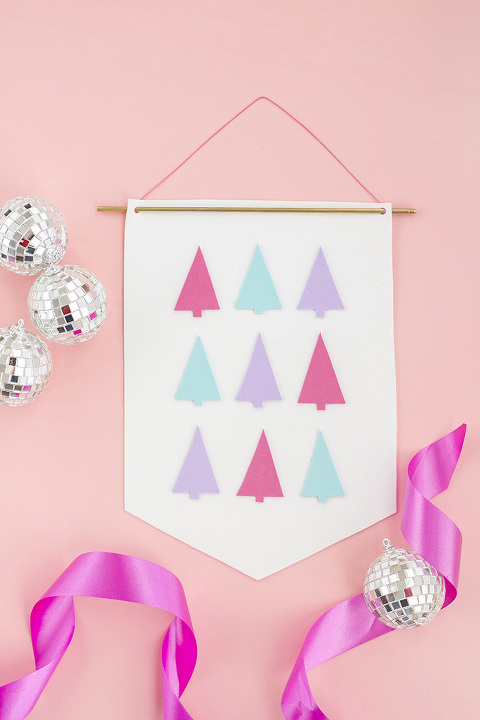 Although I certainly can’t and won’t take credit for the invention of the DIY Christmas tree silhouette banner, I don’t mind one bit explaining how easy it is to customize this popular Pinterest craft with your own color scheme and personality in mind! Holiday décor is naturally super steeped in tradition, so it can sometimes feel a little hard to customize the look to suit your own style. But this simple, 30-minute DIY project allows for tons of interpretation, so consider this your license to get creative and think outside of the standard pine tree trimmings if you want to! Start by trimming a sheet of white craft foam down to size. 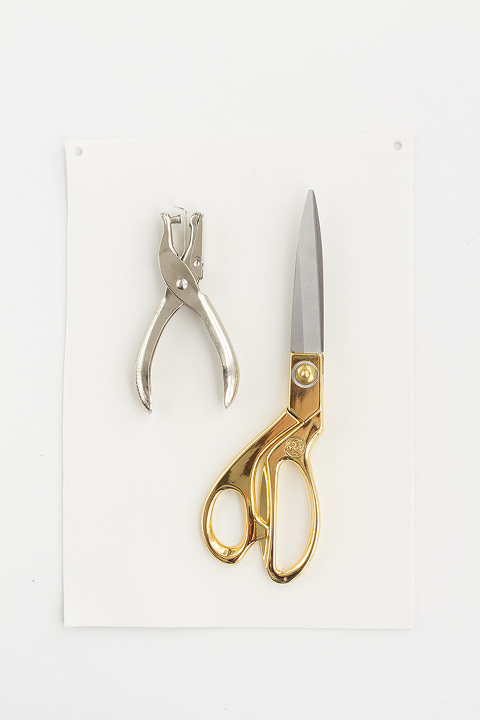 Mine post-cutting measured roughly 9 inches by 12 inches, but you can customize yours to any size. Then, punch two holes in each of the top corners using a hole punch. Slip the 12-inch brass tube through the right punched hole from behind, and then push it across the front of the white foam until you get to the other side. Push the brass tube through the front of the second punched hole, and adjust so that it’s centered. You may choose to glue your tube in place if you want to, but mine was tight enough that I didn’t need to—it stayed in place on its own. Draw a trianglar shape on a piece of cardstock using a straightedge, and then cut it out and trace it onto sheets of colored craft foam using a pen. When finished with the triangles, go back and add a small square for the trunk of the tree. Cut out the traced pine tree shapes and then lay them on top of the white foam. At this point, after laying out my trees, I decided to add a little shape to the bottom of my white foam sheet by cutting the lower two corners away so that the banner came to a point at the bottom. After settling on my alternating colored trees design, I glued them into place using craft glue. To finish, knot a bit of cut baker’s twine or chording to either end of the brass tube. After that, you’re done! I have been experimenting with my own banner, hanging it for now on the wall behind our Christmas tree, but I think it would also be cute on the outside of our front door as a wreath alternative. Since I used craft foam, the material is waterproof and easily withstands the elements outdoors. 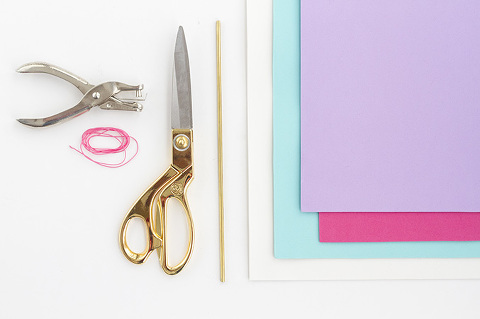 Now, I’m curious to know—what colors or Christmasy shapes would you use on your own DIY holiday banner? The snowy sky’s the limit.